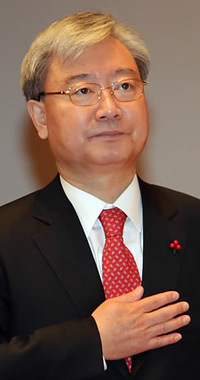 Kim Seok-Dong was appoinsted as new chairman of The Financial Services Commission (FSC) on Dec. 31, 2010. The Financial Services Commission (FSC) said on Jan. 21, 2011 that it is pushing to overhaul regulations of savings banks to boost their capital health and governance amid widening worries over the sector. South Korea's financial regulator said it has started to draw up measures to shore up the savings bank industry, now struggling under the weight of rising bad loans on its construction project finance lending. The urgency to repair savings banks' health has increased since Jan. 14, when the FSC suspended operations of mid-sized Samhwa Mutual Savings Bank for six months for failure to meet regulatory capital requirements. The suspension gave rise to the public's fear over potential bankruptcies by savings banks, resulting in a run of deposit withdrawals at the banks. The FSC said its revamping moves are aimed at toughening regulations to bolster the quality of savings banks' loans and other assets, and revising rules to allow a wider range of financial operations in order to diversify their profit sources. The regulator will also add a governance regulation for a review for revamping in order to beef up company auditors' oversights over and independence from major shareholders. The FSC's moves came after it was widening efforts to restructure the ailing savings bank sector by using taxpayers' money to clear the banks' bad assets and encouraging far bigger commercial banks to take over several savings banks. Mutual savings banks faced trouble as the country's long-stagnant property market led to a massive increase in defaults on loans the banks issued to property developers, on whom savings banks relied heavily for loan issuance.